Universal Orlando Resort will offer an all-new “Exclusive Holiday Viewing Area & Dessert Party” experience from December 24 to December 30—giving guests an even more special and exclusive way to experience Universal’s Holiday Parade featuring Macy’s and Universal Orlando’s Cinematic Celebration. The experience starts at 7 p.m. with access to an exclusive viewing area for Universal’s Holiday Parade featuring Macy’s in the Hollywood area of the park. Guests can enjoy an assortment of beverages, including coffee and hot chocolate, and prime viewing of the incredible floats, larger-than-life balloons and favorite characters that take to the streets of Universal Studios during the parade. Then starting at 8:45 p.m., guests will get access to a special viewing area for Universal’s Cinematic Celebration. 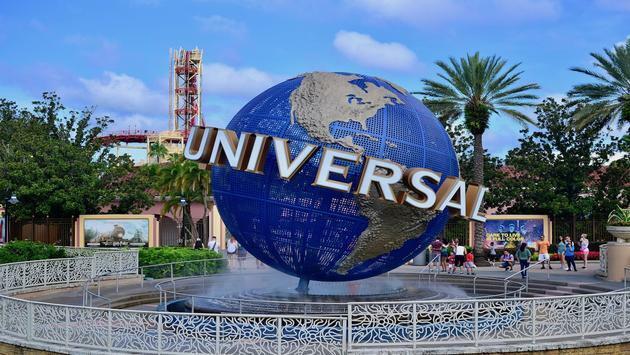 They can enjoy a variety of specialty and seasonal desserts, sparkling wine, sparkling cider and more before the show, and then watch as a colossal celebration of beloved characters and some of the world’s biggest films come to life in the Universal Studios lagoon. The “Exclusive Holiday Viewing Area & Dessert Party” is available daily from December 24 through December 30 and tickets are on sale now. Tickets for adults are $49.99 plus tax, and tickets for children (ages 3–9) are $29.99 plus tax. Separate theme park admission is required.